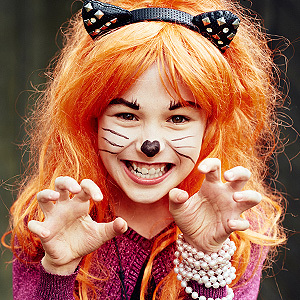 Halloween means loads of fun for kids everywhere: a chance to put on fanciful costumes and have some safe, spooky enjoyment. But the reward for all that trick-or-treating — bags full of sugary candy — can create monstrous problems for young smiles, in the form of tooth decay. Short of taking all those treats away, are there any ways to lessen the impact on your children’s teeth? According to the American Dental Association (ADA), the answer is: Yes! Some treats are potentially more damaging to teeth than others. For example, candy that’s sticky and clings to teeth — like gummy bears and taffy — takes longer to get cleared away by saliva. Lengthier contact with the teeth increases the risk of tooth decay. The same is true for sweets that stay in the mouth for a long time, like hard candy. Sour candy is often acidic, and that acid can weaken the hard enamel coating of teeth, making them more prone to decay. But there’s some good news: Chocolate, a favorite treat, washes off the teeth relatively quickly — and dark chocolate has less sugar than milk chocolate. You can always give away some or all of your candy stash to people who will appreciate it: first responders or troops serving overseas, for example. Some organizations sponsor donation (or even buyback) programs. Try searching the web for programs like “Operation Gratitude,” among others. If you do allow candy, limit it to mealtimes. That’s when saliva production is at its peak — and saliva helps neutralize acids and wash away food residue that can cause cavities. Whatever you do, don’t let kids snack on sweet treats from the candy dish throughout the day: This never gives your mouth a chance to bounce back from the sugary saturation. For quenching thirst, water is the best choice. It helps your body stay properly hydrated and is needed for healthful saliva production. Sugary or acidic beverages like sodas (regular or diet), so-called “sports” or “energy” drinks, and even fruit juices can harm teeth. Fluoridated water (like most municipal tap water) has been shown to help prevent tooth decay. If you drink bottled water, look for a fluoridated variety.